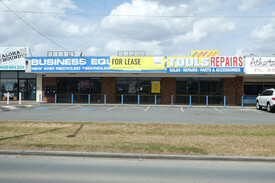 119 Commercial Real Estate & Properties in Loganholme are listed in 7 categories. We have 56 OfficesSale & Lease , 49 Industrial Warehouses Sale & Lease , 12 Development LandsSale & Lease , 9 Retail ShopsSale & Lease , 2 Other Commercial PropertiesSale & Lease and 1 Medical and Consulting PropertiesSale & Lease . 333m2* Concrete Tilt Panel Warehouse Only $3,330 + Outs + GST ..
333m2 clear span warehouse unit in a neat and tidy business park Incl. 222m2 of ground floor warehouse area with over 7.4 m of height Incl. 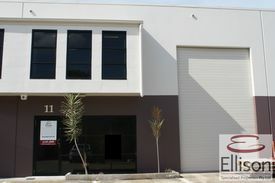 111m2 of air conditioned office area or showroom area over 2 levels NBN connection will be Fibre to the Building (FTTB) as of May 2019 Disabled sized toilet and a kitchenette in the warehouse area Large motorised roller door with easy truck access Insulated roof and high bay lighting in the warehouse East facing unit means no hot afternoon sun on the front of the unit Multiple 3 phase and single phase power outlets and airlines in the warehouse area Parking at your front door and an extra 106 car parks at the rear of this unit complex Very close to M1 Pacific Motorway via Exit 30 Cafe on site and the complex is fully fenced and gated with nightly security patrols Current tenant vacating by 30/04/2019 So call now to arrange an inspection to secure this warehouse for your business Call exclusive agent approx Please contact the listing agent for more details by clicking on the link above. Disclaimer: Ray White has not independently checked any of the information we merely pass on. We make no comment on and give no warranty as to the accuracy of the information contained in this document which does not constitute all or any part of any offer or contract by the recipient. Prospective purchasers/lessees must rely on their own enquiries and should satisfy themselves as to the truth or accuracy of all information given by their own inspections, searches, inquiries, advices or as is otherwise necessary. No duty of care is assumed by Orchid Avenue Realty trading as Ray White Surfers Paradise Commercial divisions toward the recipient with regard to the use of this information and all information given is given without responsibility. 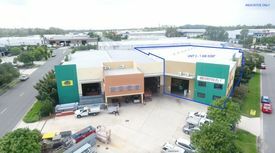 One of 2 units in a gated, secured complex Corner position with dual entry 986 SQM warehouse with 7.3 8.2m internal roof height 124 SQM offices over 2 levels with ducted air conditioning (Ground 25 SQM , upstairs 99 SQM ) Double roller door access under awning Highly visible signage opportunities 12 car spaces including three under cover Excellent location between Gold Coast and Brisbane Current tenant on month to month lease Approximate If Applicable For more information please contact Brian Manne. 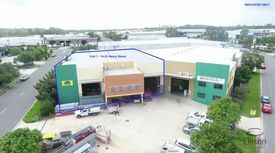 252m2* Warehouse / Workshop Unit Only $2,835 + GST Per Mon..
Unit 1 is a 252m2 clear span warehouse / factory unit Includes 144m2 of high bay warehouse area Includes 54m2 of mezzanine air conditioned office area Includes 54m2 of ground floor office or storage area There is two toilets and kitchenette included in the warehouse area Large motorised roller door and 3 phase power in the warehouse Parking at your front door for 4 cars Asking rent is less than $655 + GST per week as gross rent Outgoings are included in the rent paid NBN is now available for connection Close to M1 and Logan Motorways via exits 30 and 31 of the M1 Make us an offer today!! approx Please contact the listing agent for more details by clicking on the link above. Disclaimer: Ray White has not independently checked any of the information we merely pass on. We make no comment on and give no warranty as to the accuracy of the information contained in this document which does not constitute all or any part of any offer or contract by the recipient. Prospective purchasers / lessees must rely on their own enquiries and should satisfy themselves as to the truth or accuracy of all information given by their own inspections, searches, inquiries, advices or as is otherwise necessary. No duty of care is assumed by Orchid Avenue Realty trading as Ray White Surfers Paradise Commercial divisions toward the recipient with regard to the use of this information and all information given is given without responsibility. Best Priced Office And Warehouse Unit Around $1,850 + GST Per Month Gr..
260m2 high bay warehouse unit with mostly office area Incl. 192m2 of air conditioned office area over two levels Incl. 51m2 of high bay warehouse area Incl. 17m2 of storage area under the mezzanine office There is two toilets, a shower and a kitchenette included in the office area Large motorised roller door and 3 phase power in the warehouse Parking at your front door for 4 cars Asking rent is less than $427 + GST per week as gross rent Outgoings are included in the rent paid NBN is now available for connection Close to M1 and Logan Motorways via exits 30 and 31 of the M1 Make us an offer today!! approx Please contact the listing agent for more details by clicking on the link above. Disclaimer: Ray White has not independently checked any of the information we merely pass on. We make no comment on and give no warranty as to the accuracy of the information contained in this document which does not constitute all or any part of any offer or contract by the recipient. Prospective purchasers / lessees must rely on their own enquiries and should satisfy themselves as to the truth or accuracy of all information given by their own inspections, searches, inquiries, advices or as is otherwise necessary. No duty of care is assumed by Orchid Avenue Realty trading as Ray White Surfers Paradise Commercial divisions toward the recipient with regard to the use of this information and all information given is given without responsibility. 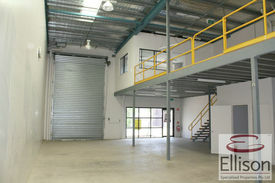 161 SQM warehouse space 87 SQM mezzanine office or storage available Own internal amenities and 3 phase power Excellent internal height and container height roller door Ample onsite car parking Fantastic truck access Perfectly located in the Loganholme Industrial Area Minutes from the M1 and Logan Motorway Approximate If Applicable For more information please contact Tony Morena. DISCLAIMER: Subject to the provisions of the Trade Practices Act 1974 and subject to any other non excludable statutory provisions. Ellison Specialised Properties Pty Ltd for themselves and for the vendors of this property for whom they act give notice that: (i) all information given in relation to this property whether contained in this document or given orally, is given without responsibility; (ii) intending purchasers should satisfy themselves as to the truth or accuracy of all information given by their own inspections, searches, enquiries, advices or as is otherwise necessary; (iii) no person in the employment of Ellison Specialised Properties Pty Ltd has any authority to make or give any representation or warranty whether in relation to this property. Highly Visible - Flexible Office Or Retail Site Please contact Agent Lind..
110m2 of air conditioned office / showroom including a small workshop area Ideal for a wide range of commercial or retail businesses Fantastic signage exposure for your business 24/7 to passing traffic Service road in front allows for easy customer access to and from the property Parking at your front door and a fenced rear yard area for storage or parking Security grills on windows Unit 1 has a rear roller door and 3 phase power Male and female toilet amenities at rear of units and a kitchenette sink area The 110m2 unit is vacant now and available immediately All written offers to lease will be presented to landlords for consideration Call exclusive agent now to discuss and to arrange an inspection of the property approx Please contact the listing agent for more details by clicking on the link above. Disclaimer: Ray White has not independently checked any of the information we merely pass on. We make no comment on and give no warranty as to the accuracy of the information contained in this document which does not constitute all or any part of any offer or contract by the recipient. Prospective purchasers / lessees must rely on their own enquiries and should satisfy themselves as to the truth or accuracy of all information given by their own inspections, searches, inquiries, advices or as is otherwise necessary. No duty of care is assumed by Orchid Avenue Realty trading as Ray White Surfers Paradise Commercial divisions toward the recipient with regard to the use of this information and all information given is given without responsibility. 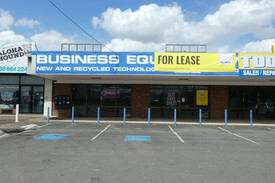 Loganholme medical practice suite for lease. 35min to City/ Bayside/Gold Coast and 24 mins to Sunnybank. street frontage can be seen from the M1 for great exposure. key features: 103m2 medical practice suite no work necessary, save fit out cost Ideal for Medical/ Consulting / Law firm /Accountants/Dentist/ Psychologist Remedial therapies/massage /Day Spa/ Office business 4 Treatment Rooms one suitable for a board room, 1 office Kitchenette /Large built in storage cabinet Toilet / wheel chair access internal plumbing access in all treatment rooms 15m2 storage 1 secure under cover car spot, 1 secure car spot and Ample customer parking wheel chair friendly access building Lease without furniture Incentives for the right tenant Location: Located approximately 29 kilometres south east of the Brisbane CBD in the Brisbane to Gold Coast corridor, this area has seen a large amount of construction activity over the past few years. Located just off the Pacific Highway near its intersection with the Logan Motorway, this area is certainly well catered for from a logistical point of view. A mix of companies that enjoy the flexibility to be able to service both the Brisbane and Gold Coast markets are located within this area. Price: Contact agent Inspection: By appointment Address:8/3986 3988 Pacific Highway Loganholme QLD Contact: Conan Li 0404 617 767/07 3373 9887 Email: conan.li@yong.com.au Disclaimer: We have in preparing this information used our best endeavours to ensure that the information contained herein is true and accurate, but accept no responsibility and disclaim all liability in respect of any errors, omissions, inaccuracies or misstatements that may occur. Prospective purchasers should make their own enquiries to verify the information contained herein. 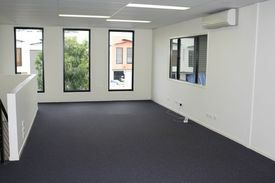 220m2* Of Office Or Showroom With M1 Signage $4,400 + GST Per Month (I..
220m2 of air conditioned office / showroom including a small storage area Ideal for a wide range of commercial or retail businesses Fantastic signage exposure for your business 24/7 to passing traffic Service road in front allows for easy customer access to and from the property Parking at your front door and a fenced rear yard area for storage or parking Alarm system, security grills on windows and data cabling The unit has a 3 phase power outlet and multiple single phase power outlets Male and female toilet amenities at rear and a new kitchenette sink area The 220m2 unit can be available asap, once a new tenant commits to lease All written offers to lease will be presented to landlords for consideration Call exclusive agent now to discuss and to arrange an inspection of the property approx Please contact the listing agent for more details by clicking on the link above. Disclaimer: Ray White has not independently checked any of the information we merely pass on. We make no comment on and give no warranty as to the accuracy of the information contained in this document which does not constitute all or any part of any offer or contract by the recipient. Prospective purchasers / lessees must rely on their own enquiries and should satisfy themselves as to the truth or accuracy of all information given by their own inspections, searches, inquiries, advices or as is otherwise necessary. No duty of care is assumed by Orchid Avenue Realty trading as Ray White Surfers Paradise Commercial divisions toward the recipient with regard to the use of this information and all information given is given without responsibility. 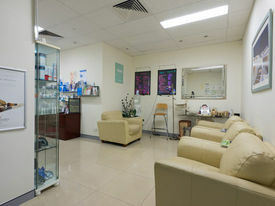 Loganholme medical practice suite for sale. 35min to City/ Bayside/Gold Coast and 24 mins to Sunnybank. street frontage can be seen from the M1 for great exposure. key features: 103m2 medical practice suite no work necessary, save fit out cost Ideal for Medical/ Consulting / Law firm /Accountants/Dentist/ Psychologist Remedial therapies/massage /Day Spa/ Office business 4 Treatment Rooms one suitable for a board room, 1 office Kitchenette /Large built in storage cabinet Toilet / wheel chair access internal plumbing access in all treatment rooms 15m2 storage 1 secure under cover car spot, 1 secure car spot and Ample customer parking wheel chair friendly access building Good price for quick sale! Location: Located approximately 29 kilometres south east of the Brisbane CBD in the Brisbane to Gold Coast corridor, this area has seen a large amount of construction activity over the past few years. Located just off the Pacific Highway near its intersection with the Logan Motorway, this area is certainly well catered for from a logistical point of view. A mix of companies that enjoy the flexibility to be able to service both the Brisbane and Gold Coast markets are located within this area. Price: Contact agent Inspection: By appointment Address:8/3986 3988 Pacific Highway Loganholme QLD Contact: Conan Li 0404 617 767/07 3373 9887 Email: conan.li@yong.com.au Disclaimer: We have in preparing this information used our best endeavours to ensure that the information contained herein is true and accurate, but accept no responsibility and disclaim all liability in respect of any errors, omissions, inaccuracies or misstatements that may occur. Prospective purchasers should make their own enquiries to verify the information contained herein. 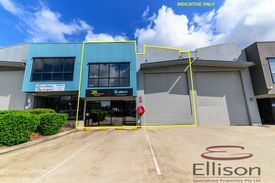 1,120m2* Tilt Panel Warehouse Office Building Seeking Offers Over $1,20..
1,120m2 total floor area concrete tilt panel warehouse Situated on 1,657m2 of industrial zoned freehold land and it's flood free Selling for below replacement cost of this building Current business is vacating soon. So buy now, then occupy in a few months Includes 226m2 of air cond. office and amenities area at the front of the building Includes 644m2 of air conditioned clear span high bay warehouse area Includes 250m2 of approved mezzanine storage area above the office and lunchroom areas The warehouse is air conditioned with 4 large units mounted on the roof The warehouse roof is insulated and the metal tek roofing was replaced in recent years The building is secured with high tensile security screens on windows and doors and ram guards on the roller doors for added night time security plus an alarm system is in place The warehouse has 3 roller doors, multiple male and female amenities and a shower There is a kitchenette in the front office and in the warehouse area with a lunchroom Building can be split into two separate tenancies if required 200amp 3 phase power CT metering board in place with 3 phase power points The property has 11 car parks and is fully fenced and the land is flood free We are selling this property as a going concern with a short term lease in place, so this means NO GST is payable on the sale price This property is ideal for an owner occupier or the astute investor Take advantage of the record low interest rates and buy now with a short term income in place now The owner will also sell lots of other extras at greatly reduced prices, such as pallet racking, an electric fork lift, packing benches, office desks etc, etc. Call agent to arrange an inspection approx Please contact the listing agent for more details by clicking on the link above. Disclaimer: Ray White has not independently checked any of the information we merely pass on. We make no comment on and give no warranty as to the accuracy of the information contained in this document which does not constitute all or any part of any offer or contract by the recipient. Prospective purchasers / lessees must rely on their own enquiries and should satisfy themselves as to the truth or accuracy of all information given by their own inspections, searches, inquiries, advices or as is otherwise necessary. No duty of care is assumed by Orchid Avenue Realty trading as Ray White Surfers Paradise Commercial divisions toward the recipient with regard to the use of this information and all information given is given without responsibility. 250 SQM professional office with excellent Highway access The Westpac Office Complex enjoys visibility from the Pacific Highway This ground floor office has individual offices, plus boardroom Data room, kitchen, male & female amenities Impressive finishes throughout building Rear balcony with leafy outlook Large secure basement parking at rear of building Current fit out can be modified to suit new tenants needs Available now Rent free incentives or fit out incentives on offer Approximate If Applicable. https://youtu.be/aQAd2_Z8ow0 For more information please contact Brian Manne. DISCLAIMER: Subject to the provisions of the Trade Practices Act 1974 and subject to any other non excludable statutory provisions. Ellison Specialised Properties Pty Ltd for themselves and for the Vendors of this property for whom they act give notice that: (i) all information given in relation to this property whether contained in this document or given orally, is given without responsibility; (ii) intending purchasers should satisfy themselves as to the truth or accuracy of all information given by their own inspections, searches, enquiries, advices or as is otherwise necessary; (iii) no person in the employment of Ellison Specialised Properties Pty Ltd has any authority to make or give any representation or warranty whether in relation to this property. Looking for a small office with a small price tag? This one is for you. Located a stones throw from the M1 with easy access north or south, this property won't last long. 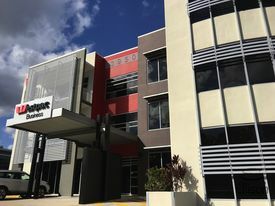 120 SQM total area over 2 levels Excellent access to M1 North and South bound Onsite parking Upstairs Air conditioned board room 20 SQM Air conditioned office area 40 SQM Downstairs 60 SQM Reception area Storage area Kitchenette Toilet and shower Outgoings included in rental Early bird catches the worm! For more information please contact Tony Morena. Approximate If Applicable. DISCLAIMER: Subject to the provisions of the Trade Practices Act 1974 and subject to any other non excludable statutory provisions. Ellison Specialised Properties Pty Ltd for themselves and for the Vendors of this property for whom they act give notice that: (i) all information given in relation to this property whether contained in this document or given orally, is given without responsibility; (ii) intending purchasers should satisfy themselves as to the truth or accuracy of all information given by their own inspections, searches, enquiries, advices or as is otherwise necessary; (iii) no person in the employment of Ellison Specialised Properties Pty Ltd has any authority to make or give any representation or warranty whether in relation to this property.